Fall is just around the corner and school is back in session. 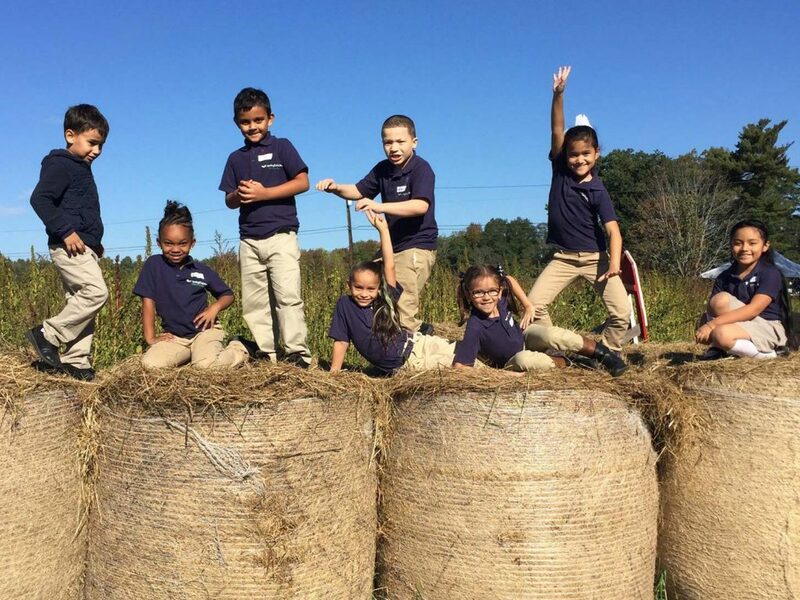 Time to plan your class field trip to Fletcher Farm! For $6.00 per student, children will enjoy a hayride and choose the perfect pumpkin (small to medium sugar pumpkin). We provide bags for little hands to carry, and send each child home with an educational coloring book to remember their trip to the farm. Teachers, chaperones and parents are also welcome to participate for $3.00 unless picking pumpkins too! Please provide an estimated number of adults accompanying your group at the time of scheduling. Our farm field trips are aimed for children in pre-school through grade 3. We are happy to customize your visit based on the needs and interests of your group. Most groups stay for approximately two hours, which allows plenty of time for meeting our dairy calves, litters of piglets, goats, sheep and who knows, maybe a few llamas! We always love to share information about agriculture, so an introduction to dairy farming can be included as well. We have picnic tables available for snacks or lunches and a play area filled with round bales, which is always a favorite! We have been offering fall field trips for over 25 years, and many of our returning schools have been visiting since we started. If you have yet to visit the farm and would like a field trip reference or additional information, please contact us and we will gladly connect you with other teachers in the area. We open for groups on October 1st and continue through October 31st, scheduling both morning and afternoon times. Book your trip online through the form below, send an email, or simply give us a call at 413-527-6888.